Edamame is the name given to young, immature green soybeans. They're quick-cooking, nutritious and versatile, notes "The New York Times" food columnist Mark Bittman. Edamame is available fresh or frozen, either shelled or still in the pod. Keeping a bag or two of frozen edamame in the freezer allows you to prepare snacks, purees or dips from the cooked beans in minutes. You can also add edamame to salads, stir fries or soups. 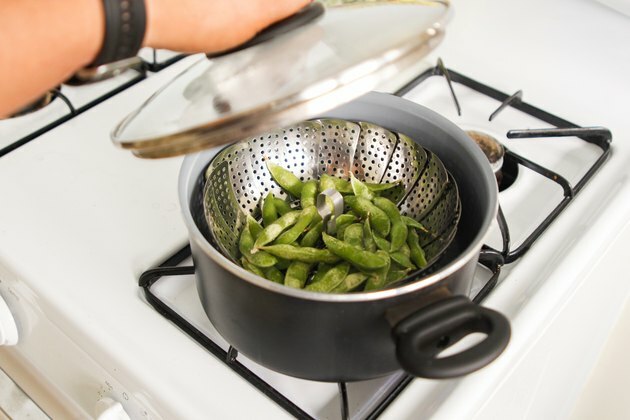 Edamame is most often boiled, though you will preserve more of the beans' vitamin C and B contents if you steam it to reduce contact with water. 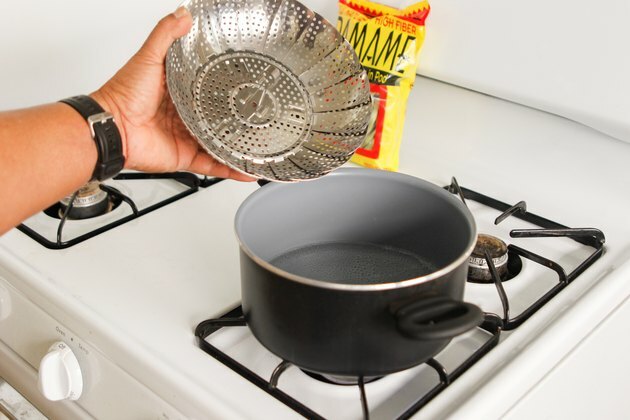 Place a steamer basket or insert into a large pot or saucepan. 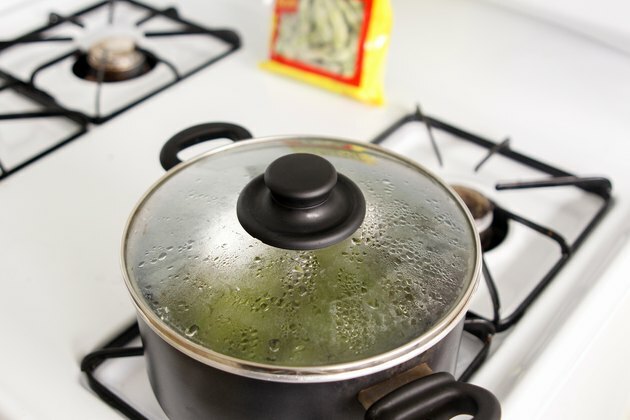 Fill the pot with about an inch of water, making certain that the water does not touch the steamer basket. Bring the water to a boil over high heat. Place the frozen edamame in the steamer basket. Put the pot's lid in place. Allow the edamame to steam until tender, approximately 2 minutes. Remove the pot from the heat. 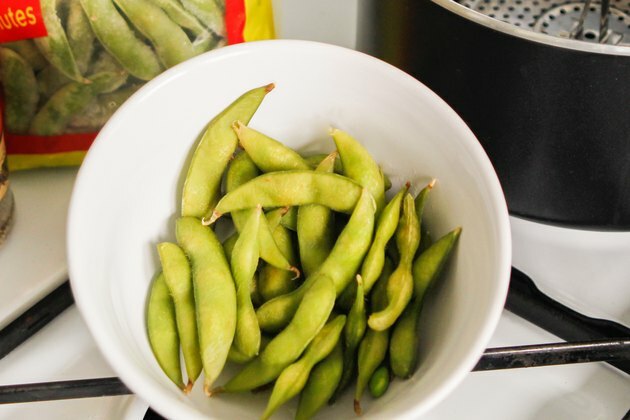 Place the edamame in a large bowl and toss with your choice of seasonings, if desired, such as salt, pepper, hot sauce, vinegar, ginger or garlic. 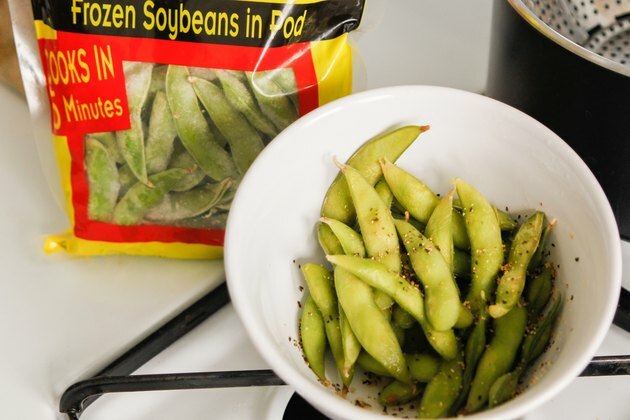 If you prefer, you can steam frozen edamame in the microwave. While some commercial brands are sold in microwavable bags, you can also put the edamame in a glass bowl with a small amount of water. Cover the bowl with plastic wrap and microwave on high until tender. Microwaving times can vary depending on the wattage of your microwave. Soy contains estrogen-like compounds that may alter your hormone levels if you eat too much regularly. Limit yourself to one serving of soy products like edamame per day, advises registered dietitian Dawn Jackson Blatner in a June 2012 abc News article. Columbia Health: Nutritional Differences Between Canned, Frozen and Fresh Veggies?